Front-End Reactive Architectures | Free eBooks Download - EBOOKEE! Posted on 2018-05-20, by perica123. Learn how to use reactive architectures on the front-end. 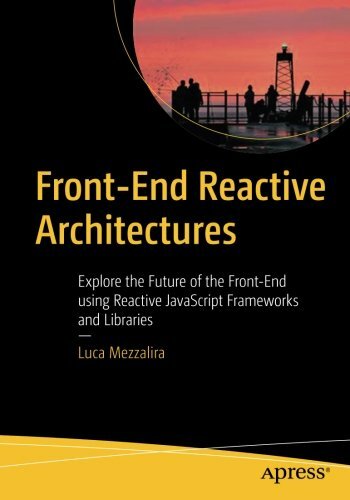 There are many technologies using a reactive approach on the back end, but this book teaches you how the reactive manifesto can be used to benefit your front-end programming as well. You will discover what reactive programming is, what the current front-end ecosystem looks like, and how to use a range of frameworks and libraries. You will also apply specific reactive architectures in your own projects. Each concept is taught with a mix of technical explanations and real-world code implementations. No comments for "Front-End Reactive Architectures".